Afghanistan, Iran and Pakistan affirm that the three countries bear a shared and common responsibility for security and stability in the region, and reaffirm the commitment to playing their due role in the reconstruction of Afghanistan, a joint declaration said Saturday, Xinhua reported. "We agree that regional stability and security can only be advanced through sincere and strict adherence to the principles of non-interference in the internal affairs of each other as well as respect for each other's sovereignty and territorial integrity," said the declaration signed after the trilateral meeting of the foreign ministers. Addressing a joint press conference with his counterparts from Iran and Afghanistan, Pakistani Foreign Minister Shah Mehmood Qureshi said that Afghanistan, Iran and Pakistan are the most important neighbors for establishing peace and stability in Afghanistan, adding that peace in Afghanistan means peace in the region. The caretaker Afghan Foreign Minister Rangin Dadfar Spanta stressed that his country will not allow any country to operate on its land against its neighbors, especially Pakistan. 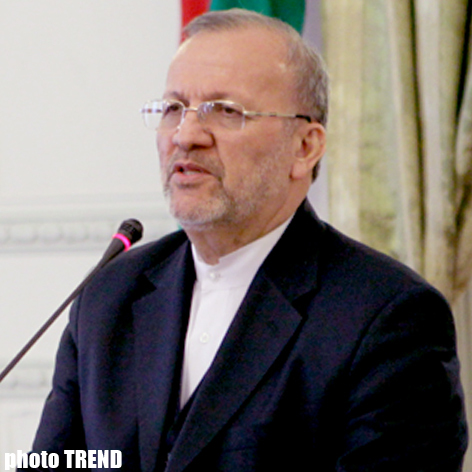 The Iranian Foreign Minister Manouchehr Mottaki said that regional approach is the key solution to resolve Afghanistan's problems and security challenges. The Pakistani foreign minister announced that Iran will host a conference of regional foreign ministers to discuss peace, security and cooperation to deal with the threat of terrorism and militancy. He said the meeting will be attended by Afghanistan and its six immediate neighbors. Qureshi said the Islamabad trilateral meeting decided to move forward in line with the tripartite summit in Tehran in 2009 to adopt regional approach to find out solution to problems in the region. He said that intelligence chiefs of the three countries will also meet in Tehran soon to discuss cooperation in intelligence sharing. He said that ministers of interior from the three countries will hold a meeting in Islamabad while ministers of finance and economic affairs will meet in Kabul to discuss cooperation among the three countries. The meeting also decided the next trilateral summit will be held in Islamabad in the near future and dates will be finalized through diplomatic channels, Qureshi said.